Sutter Creek, and surrounding Gold Country towns, offer modern to historic bed and breakfast inns. Travelers from, as near as Sacramento and San Francisco or as far away as China and New Zealand, enjoy personal service, unique decor and homemade breakfasts. Most return home with beautiful memories that will last a lifetime. Sutter Creek’s Eureka Street Inn is a Craftsman-style home tucked quietly between bustling Sutter Creek Main Street and the historic Knight Foundry – an oasis of impeccable hospitality and fine friendship in the town best known as “The Jewel of the Mother Lode.” This Gold Country Inn is central to the wealth of wineries that fill Amador’s Shenandoah Valley. Sutter Creek’s Eureka Street Inn has four thoughtfully appointed guest rooms – all enjoy a second floor view. Each room is furnished with antiques, cozy quilts or throws … and has its own large private bathroom. A gas fireplace or a gas stove accents each room. All the guest rooms are air conditioned. Wireless Internet Access available. 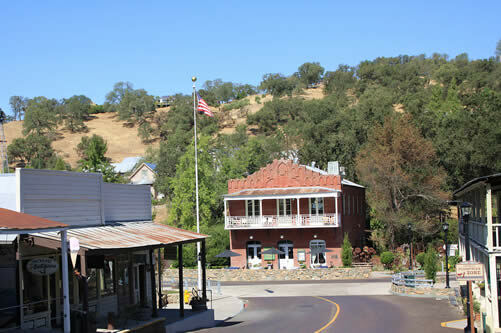 The Foxes Inn is situated in the middle of historic Sutter Creek, one of California’s most celebrated gold rush towns. 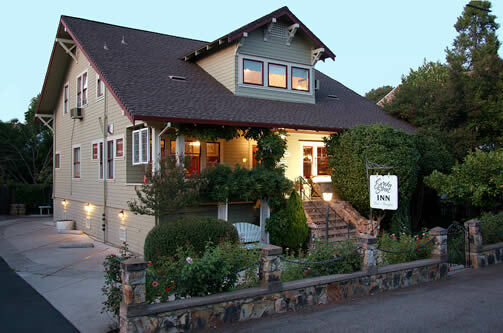 This Sutter Creek Inn is a Victorian Jewel dating from the mid nineteenth century. The Inn has been extensively renovated, and offers guests a unique blend of graceful hospitality in idyllic surroundings. The guest rooms are nothing short of sumptuous. Each spacious room has been individually designed and adorned with soft furnishings in rich warm colors and luxuriant bathtubs and/or showers. This Sutter Creek bed and breakfast inn prides itself on the quality of its chef-prepared, 2-course, cooked-to-order breakfasts. Guests choose their breakfast from a menu of numerous tempting selections, which are served to the guestrooms or outside in the garden. Located in the town of Sutter Creek, in the heart of the Mother Lode, the luxurious Grey Gables Inn brings a touch of the English Countryside to the Amador Wine Country. Grey Gables Inn offers eight comfortable and large guest rooms and two luxury suites, a formal dining room, and a large parlor with a double alcove. Guests often remark that this Sutter Creek B&B has the unmistakable look and feel of an English Country Manor. 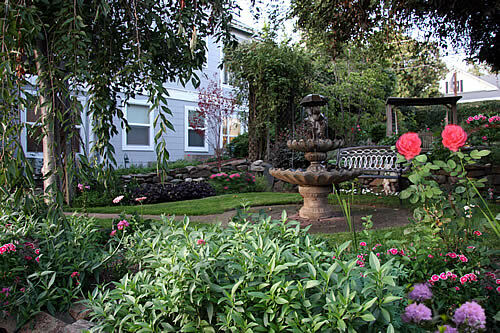 Outside this Sutter Creek bed and breakfast, red bricked pathways lead the way to a terraced garden that invites a stroll through the arbors, or quiet conversation in seclusion among the vines and flowers. Leave your cares behind as you delight in birds splashing in the fountains or twittering about in the wisteria. A beautiful haven in Sutter Creek, California. 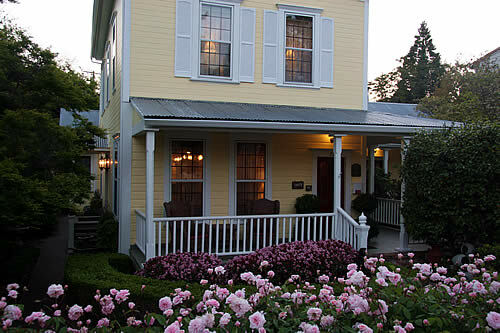 Make the Hanford House Inn your next destination for a special bed and breakfast experience. This luxury B&B is located in historic Sutter Creek, the heart of the Sierra foothill wine region located in Amador County. 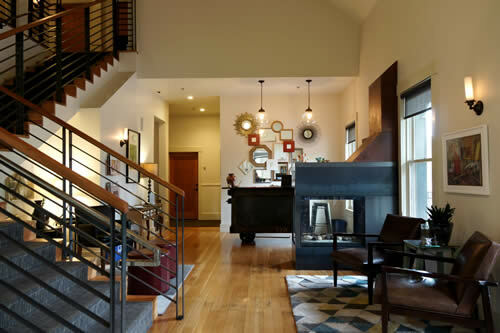 This Sierra Foothill Inn is a blend of modern / contemporary design with historic accents. Enjoy chef prepared gourmet breakfasts each morning at Element Restaurant and complimentary wine in the evening. Comfortable and luxurious accommodations make for a memorable getaway at this Sutter Creek inn. Hanford House Inn is more than just a romantic bed and breakfast for couples. It’s also a perfect venue for family reunions, small weddings, receptions and special events. This Sutter Creek B & B or boutique hotel is ideally suited for group getaways and is fitting for informal seminars or business conferences. Located between Yosemite National Park and Lake Tahoe in the heart of California’s Gold Country, the Sutter Creek Inn is eight minutes from the Shenandoah Valley Wine Country and close to up country skiing and hiking. Experience Gold Country charm at its best while enjoying Sutter Creek’s fine shopping and dining adventures. Sutter Creek Inn is a delightful Gold Country Bed & Breakfast in a sprawling New England style home. Our seventeen charming rooms and cottages provide guests with a choice of accommodations to delight and enjoy. Ask us about our swinging bed. It was so popular that four rooms now have them! Wander the gardens and find hidden alcoves where one can relax and get away. Discover hammocks for napping, favorite spring and summer flowers, fall foliage and winter delights. 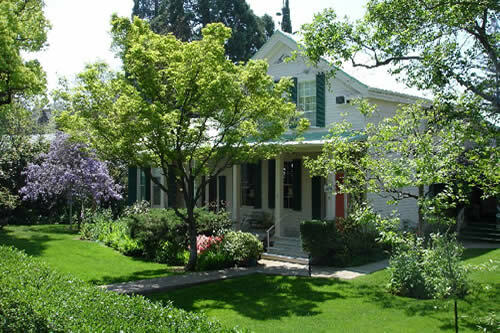 Enjoy our comfortable hospitality while staying in the first Bed & Breakfast in the West. Described as “both elegant and whimsical”, with a “rich, seductive opulence”, the Imperial Hotel is a place where time does not stand still, but it does slow down. Local residents and visitors mingle over cocktails in the Oasis Bar. Hotel guests sip a glass of wine or cup of tea on the balcony overlooking the town or on one of two native stone patios. A book or magazine selected from the hotel library leads to an afternoon of lazy inactivity. Spend an afternoon visiting the many award-winning, family-owned small wineries in nearby Shenandoah Valley and Fair Play. Browse the antique and specialty shops in Amador City and Sutter Creek. Return to our regionally acclaimed restaurant for a relaxing meal featuring locally grown produce, fresh meats and sustainable harvested seafood. Then simply retire to one of our nine handsome air-conditioned rooms with private baths and look forward to a full gourmet breakfast in the morning. Life at it’s absolute best! 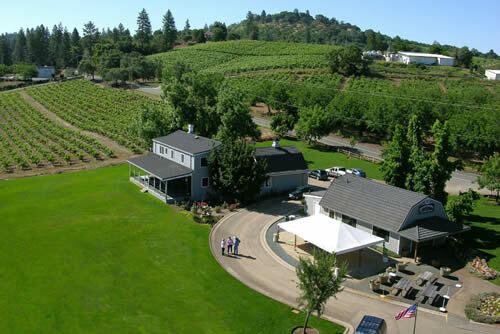 Enjoy lawn games on our expansive lawns, or sample a traditional Amador County Zinfandel at Deaver Vineyards Tasting Room. Visit the neighboring wineries or lounge on the comfy back porch and let the gentle breezes of Shenandoah Valley take you back to a quieter, simpler time. Watch ducks, fish and frogs that offer the only distractions to the peaceful haven of the Amador Harvest Inn.